It’s Ice Fest week! 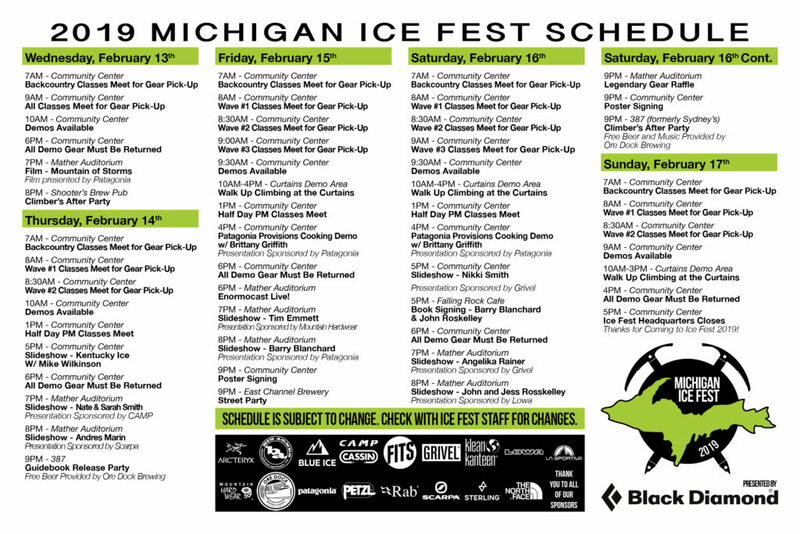 Here is our schedule of events so if you are interested in catching a presentation, spectating or even trying ice climbing this is your chance! Stop in to our headquarters at Munisings Community Center where you can catch a shuttle ride to see the climbs.